Here’s the cover of book three in the series. 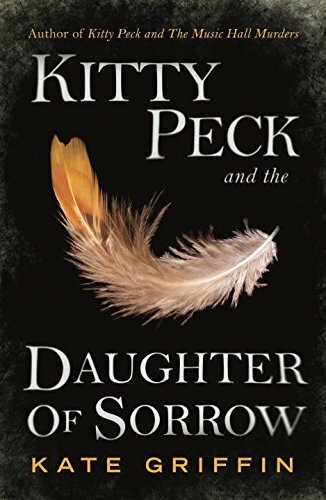 Kitty Peck and the Daughter of Sorrow will be published by Faber and Faber in November 2016. The Kitty Peck series is published by Faber and Faber. 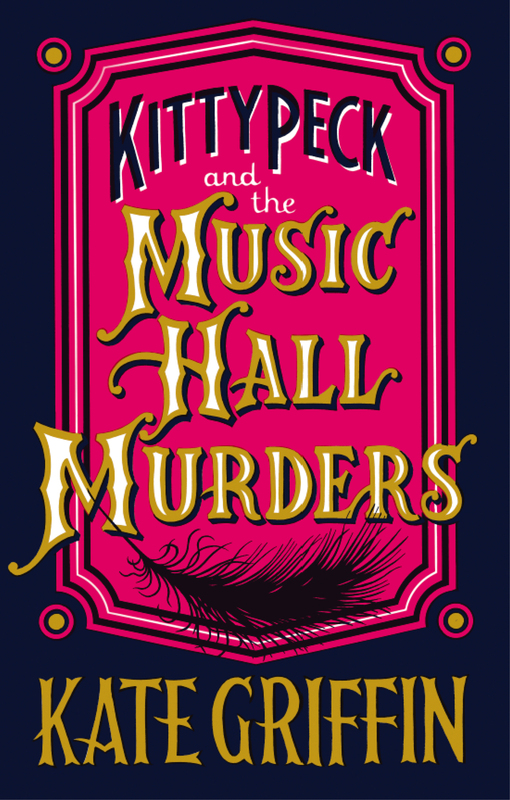 Book 1, Kitty Peck and the Music Hall Murders: published 2013. 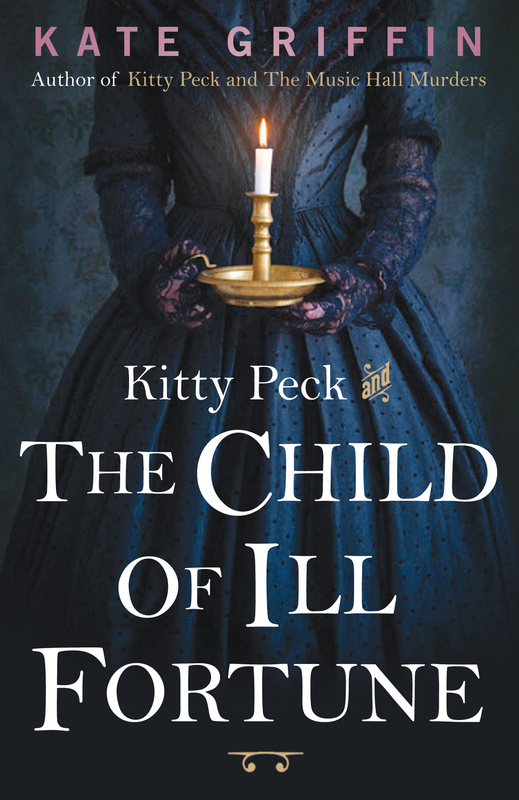 Kitty Peck and the Child of Ill Fortune, the sequel: published July 2015. Four books are planned to complete Kitty’s story. I have just finished book three, Kitty Peck and the Daughter of Sorrow (see above) and I’m plotting the fourth. I have just read the Music Hall Murders and really enjoyed it and now looking forward to reading the next one. Thanks it was lovely to meet you this evening and looking forward to the new book. I was attracted to “…the Music Hall Murders” in my local library for two main reasons, I love crime fiction and I also very much enjoy reading about Victorian social history – especially if it involves either my hometown of Liverpool or the East End of London. I very much enjoyed your book and shall be reserving a copy of the second Kitty Peck book at my library (unfortunately, my funds are limited and I’m a very fast reader, capable of reading up to two books daily, if the mood is upon me, and I simply cannot afford to buy that many unless I can find them in the charity shop opposite my home! Oh, but what fun I could have in a book shop if I won the lottery!) Thank you for your book and please accept my apologies for rambling on! Thank you so much. Really glad to hear that. Kitty Peck 2 – that’s Kitty Peck and the Child of Ill Fortune is definitely available in libraries and I hope the next and third in the series, Kitty Peck and the Daughter of Sorrow (out in November) will be available to borrow too. Libraries are fantastic – we mustn’t lose them!! I just double-checked the Liverpool libraries online catalogue and they definitely DO have your second book (which I have now reserved! )…I wholeheartedly agree about the importance of libraries – unfortunately, my local library is fighting to stay open due to budget cuts. It’s been given a temporary reprieve whilst they try to find a long term solution but it’s worrying..one idea they had was to staff it with volunteers but the current staff are lovely, friendly, helpful and KNOWLEDGEABLE people and I would hate to lose them! These are difficult times for a lot of people. I look forward to reading more books from you in future and thank you for responding. Our wonderful libraries are definitely worth fighting for. Recently I’ve done a few events for libraries and they’ve made me realise that among the many great things most of us are probably familiar with, libraries also provide a fantastic social ‘hub’ for people who, for a variety of reasons, can feel isolated, lonely or just a bit ‘out of step. It’s been lovely to meet really diverse groups of book lovers and to be a part of their (animated) conversations. Over tea and biscuits, of course! The librarians I’ve met have been fantastically committed, interested and welcoming. Books really can a make a difference to lives!